As a late 20-something year old digital nomad it’s rather easy for me to pop into the dentist for a cleaning while traveling in Latin America, Asia, and Central Europe. However, this summer I am back in the United States and besides getting into decent shape, whiter teeth is something I desire. It’s a small change but one detail that people do notice.Whiter teeth help with confidence, especially if you’re a man with yellow or discolored teeth from tooth decay and other dental issues that pop up. 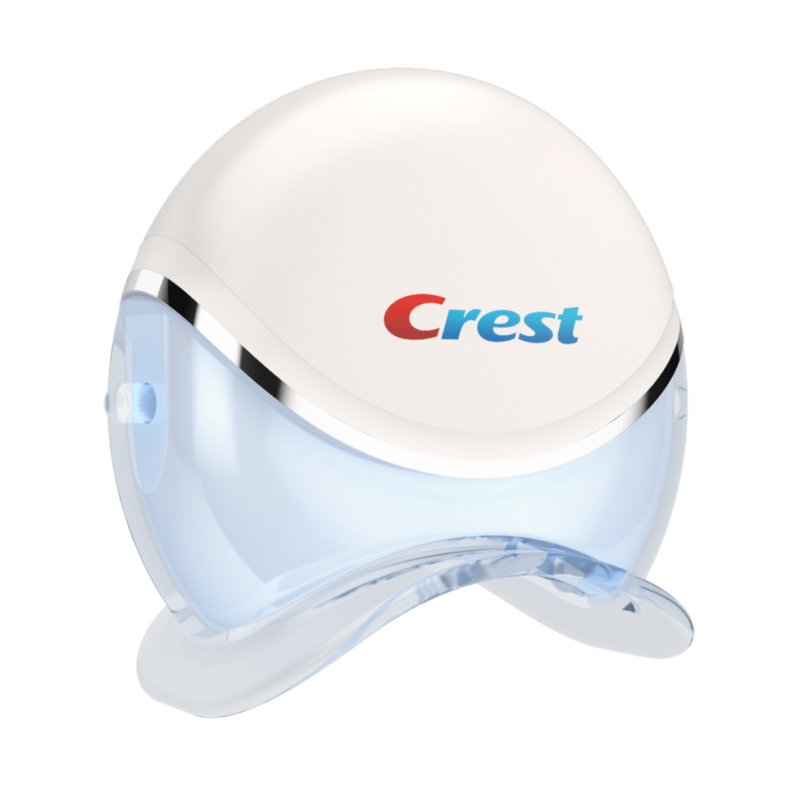 Crest provided me with their first at-home whitening light technology which is intended as an upgrade from using just the strips alone that you have probably seen in every supermarket and drug store.. But how does it work? A few years back, dentists started to use special blue LED lights to work on the stains on people’s teeth and give them that desirable white look. The blue light weakens the stains on teeth in such a way that the whitening products can have a much greater impact than without its use. Not only did it make for whiter teeth but also meant that the effects lasted much longer. 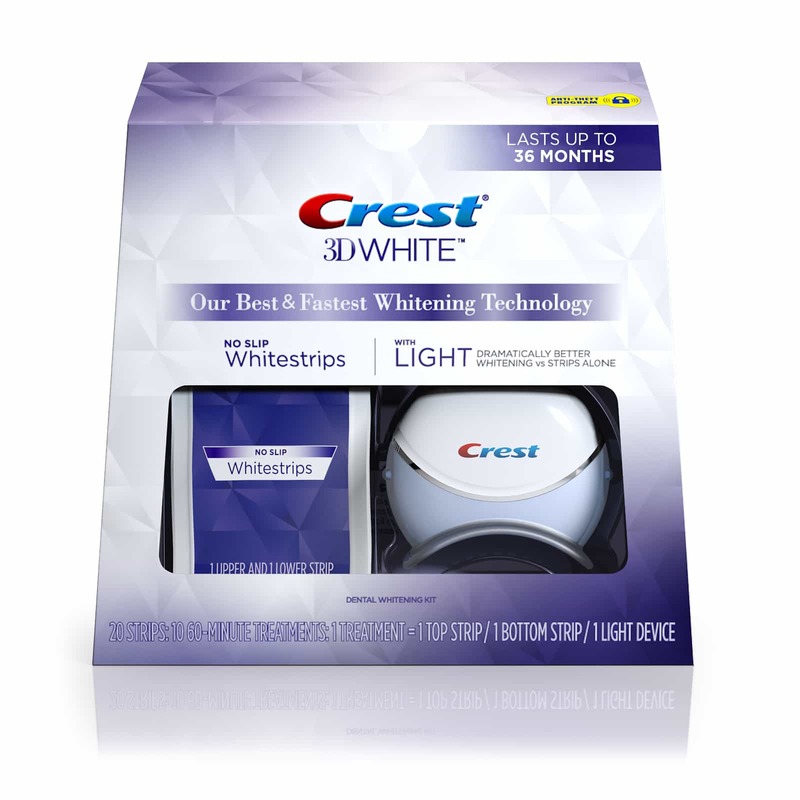 With the Crest Whitestrips with Light, you can have the same technology for the first time in your own home. 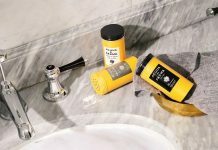 The product uses the same blue light technology in a lightweight, handheld device that is also water resistant and easy to use. The product has been proven to weaken the stains on teeth to give a much better result from using the accompanying Whitestrips. The Whitestrips themselves are easy to use product that contains enamel-safe ingredients used in dental practices. This means there is no fear that the strips will damage the enamel on teeth–only concentrate on removing stains. The product represents the best whitening technology available and Crest says it will last for up to 36 months based on their internal tests. Whether that’s true in practice is something I won’t know for a long time as I am writing this after recently using it. Another advantage to the system is that the strips are not only easy to use but allow you to carry on doing normal activities while they are working. They mold to the shape of teeth and remove easily – you can even drink water while they are in place. You apply the strips to the upper and lower teeth once a day for 60 minutes and use the light on both until it automatically turns off. The full treatment takes around 10 days. The product has already had plenty of positive reviews from customers who have tried it. Many have noted that they have tried different whitening products before with limited success but have noticed a definite improvement using the Crest Whitestrips with Light system. Heavy coffee drinkers have noticed that stains are removed and that the product is easy to use as the instructions promise. As spring will soon turn to summer the possibility of an affordable and more effective teeth whitening solution is out there.Will you take advantage of this new technology like I have? Crest Whitestrips with Light were provided for review purposes. All opinions expressed above are my own.